I have 3 computers and 1 laptop on a home network and all of a sudden my laptop cannot connect to the PC with the printer attached to it. Every time I try to print I get an error message so I checked and when I try to access the PC from my laptop through the network it keeps asking me to enter a password. I never had this problem before. I never had to enter a password before, btu all of a sudden it asks me for one. I have file and printer sharing ON and network passwords OFF but it still asks for one when accessing the PC from my laptop. 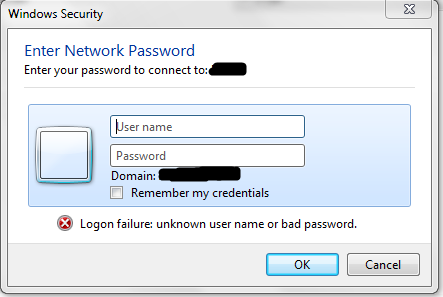 None of the other PCs/laptops on my network require a password to connect to that PC. Do you have the same username on the computer with the printer and the one you are having issues with? If you do, that could be causing the issue.. When the login comes up try user name guess without a password. sorry, none of those things worked. Not sure why my printer PC is only asking my wireless laptop for a network password when it doesn't for any of the others. On the PC with the printer try sharing a folder for everyone and then try accessing it. Does it asks for a user password or homegroup password? Also, are you using any firewall? Make sure that you have selected the good network profile (you know, where it asks you between home/enterprise or public). 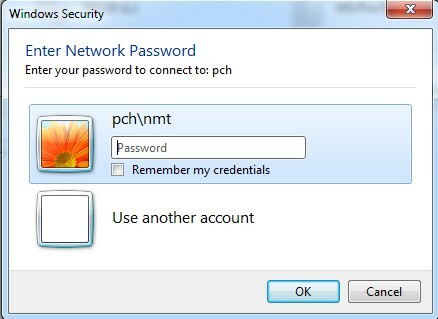 It's asking for a "network password"
As mentioned above, I never created a password in the first place. Screenshot plz, sounds like 3rd party software, not Windows who is bugging you. Its not 3rd party -- this is what your seeing right? Well then just auth and be done with it! Save your creds. As already mentioned, easy solution for auth issues is to use the same username and password on both machines. BLANK is not a password btw. If your PC with the printer is setup correctly to allow everyone then clicking “Use another account” with user name guess without a password should work...it works here. The best way is to go on "device and printer" menu, click on your shared printed and click on "impressoin server properties", then "security tab" and allow everybody or just the user you are using on your laptop. I've also uninstalled McCafee so I am without an anti-virus. I have Windows firewall disabled too. Well auth to it correctly then and be done with it.. Put in the valid username and password and save it. I purchased the computer from Dell a month ago. It came installed with Windows 7. I never set any usernames or passwords. Thats great you never had a problem, well you have a problem now don't you. So lets troubleshoot the issue -- clearly you changed something if was working before without you authing?? And now its not. Post up your settings from the pc sharing the printer, and the share permissions on the printer and we can work through the issue. As asked before -- were you in a HOMEGROUP before, which would make sense is your machines are all in a homegroup and this machine has left or is having issues with it?? Can not do anything for you unless we see your settings. This sounds like a homegroup issue to me too. On the PC you're having trouble with, type "homegroup" and run the control panel. Make sure the PC is in a group. If it's not, get the password from another computer that's in it and re-join it. I'm not on a homegroup. It's just a basic workgroup because the other PCs run XP so a homegroup wouldn't work anyways. And even when I try to set up a homegroup, the printer PC says it cannot join the homegroup. So did your win7 PC create a homegroup? The one that can not access the XP machine? Need some clue to your settings so we can fix them, because clearly something is wrong. Or you could let someone Teamviewer into the 2 machines and work it out for you. Your other machines that are accessing the printer, are they XP, Vista, 7? Do they have accounts that match up with the XP machines accounts. Normally I setup password auth, and use usernames and passwords to auth to a machine -- this is the more secure option!!! Allowing anonymous access is never a good idea! Also keep in mind that anonymous is no longer part of the everyone group.. Just be cause you give everyone group permissions, this is not the same as anonymous. Really this could be fixed up with like 5 minutes access to your machines. Best to see the Printer sharing machine, and a machine that is working like you want - and then the machine that is not working so can work out what is actually wrong and what settings your using - for all we know the other machines have credentials saved and are using those to auth to the machine. But without MORE to go on then you saying its asking for auth there is no way for us to tell you what is wrong. If you want run teamviewer and PM the info and I would be happy to take a look. Its how I have it setup then user name guess without typing a password. ^ NO he should not be using a public profile, he is not on a public network -- he is on a PRIVATE/HOME network -- which is the profile he should be on. Public locks down sharing and such - blocks all inbound traffic.. Which is what he would want to be setup when he say takes his laptop to starbucks or something. win7 will identify the network when you connect and ask what it should be, public/private, etc.. This is how you can turn off your firewall when at home, and have it ON and blocking access to your shares when at home. Also he stated he can access this PC from his other machines - its this machine can not connect to the XP box without getting prompted for AUTH. 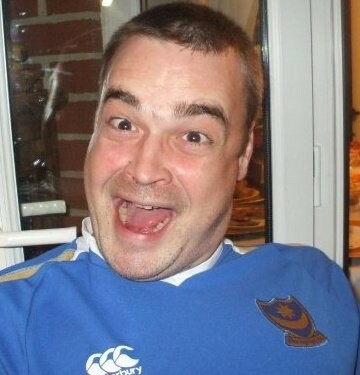 His win7 PC should be in private/home profile not public!! inputting a username an password when asked for one, i was able to access the NAS with no problems what so ever. All Dell PC are asking for an username and password at first start. You probably didn't bought a new computer.